The Northern Foundation opened its scholarship application cycle for the 2018-2019 academic year, and Executive Director Terry Mulert hopes this year will provide over $200,000 in funds available to students attending Northern New Mexico College. “It’s a very realistic goal based on early projections, and we are working hard every day to cultivate existing and new donor interests,” Mulert said. New scholarships this year include the Lightning Boy Foundation Scholarship, which will award $5,000 in honor of Valentino Tzigiwhaeno Rivera, and the Tom Bohlman Lexus Award. In addition to new scholarships, there are stalwart perennial supporters like Leo Valdez, a native of the Valley and 1966 graduate of the El Rito campus. Through the Arizona Educational Foundation, Mr. Valdez supports the Northern Foundation. “The Arizona Educational Foundation is focused on assisting Northern students pursuing a college degree as well as vocational studies. I also support the El Rito Alumni group and other nonprofits,” Valdez said. ​Over the past three years, the Northern Foundation has more than doubled the scholarship and grant funds available to Northern New Mexico College students. In the 2017-2018 academic year, the Foundation awarded 105 students with scholarships and additional grants totaling nearly $170,000. “The Northern Foundation is proud to do its part as a nonprofit and provide more opportunities to Northern students pursuing their dream of a college degree,” said Mulert. “My dream has been to give away over $200,000 to deserving Northern students in one year. In 2018, that dream might become a reality because of the incredible outpouring of support from our donors,” Mulert added. The Foundation also introduced 20 new scholarships during the year, making it the highest number of scholarships and grants moving through its doors since the Foundation’s inception in 1995. The Foundation hopes to make 2018-2019 another record breaking year with the help of generous donors and community members. “It takes individuals and leaders in the community to step forward and set the example in support of education and to publicly proclaim: education is our priority, especially at the college level and in particular at Northern New Mexico College,” said Mulert. Application forms and eligibility criteria for Northern Foundation Scholarships can be found at here. Completed applications must be submitted before the application deadline on Friday, April 6, 2018. 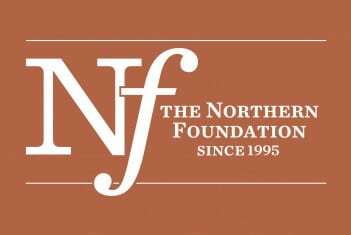 Established in 1995, the Northern Foundation has a $3.5 million endowment and to date has given over $1.6 million in awards that have supported over 1500 students from the Española Valley.